A judicial review takes place when the lawfulness of a decision or action of an executive or legislative body is called into question. We have covered a judicial review once before. On that occasion it was a case brought by the London Borough of Enfield against the DfT. At issue was the Invitation to Tender document for the West Anglia franchise and the failure for it to specify a requirement for 4tph at Meridian Water station – something the London Borough of Enfield was relying on and believed that the DfT had promised would happen. Finally, the proposed cycleway would go along Portland Place, which is a wide street, so that it can terminate just north of Oxford Circus near the BBC headquarters. Here it would consist of two separate lanes, not physically segregated from the rest of the traffic but potentially reserved exclusively for cyclists. Things started off as they would for any other cycle superhighway scheme. There was the proposal, approval in principle by the Programmes and Investments Committee, public consultation, liaison with the statutory authorities such as the City of Westminster and delegated authority for TfL to carry out the work. A press release on the 7th of May 2018 stated that construction of CS11 was due to commence in mid-July at Swiss Cottage. In June, the City of Westminster announced it was seeking a JR against the entire scheme and on Thursday July 26th they obtained an injunction to prevent work commencing at Swiss Cottage on the following Monday, the 30th July, which was TfL’s revised date for commencement of work. So it was then that on Thursday 6th September 2018 in court 18 at the Royal Courts of Justice that battle commenced to determine whether or not TfL could proceed with the Mayor’s scheme. At stake was not merely CS11 but the potential for any cycle superhighway, or indeed any other of the Mayor’s schemes, to be thwarted by a London Borough. Effectively, depending on outcome, the Mayor’s policy could be approved with the full support of the courts or could be rendered impotent. 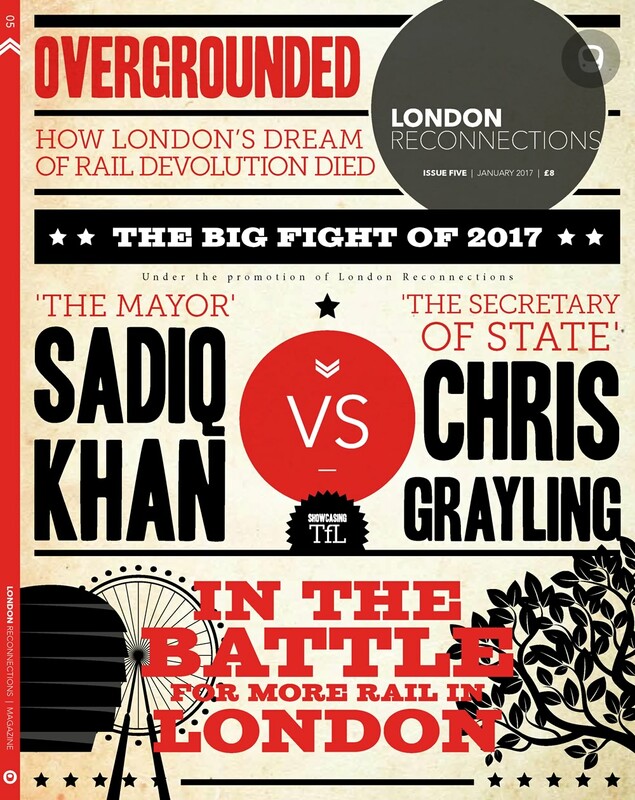 In its own way, the JR could be as significant as the curtailing of Ken Livingstone’s Fares Fair policy in 1982 which was seen as something that crippled the GLC Mayor’s policy making ability. On television, courts are portrayed as places of great tension and excitement. What they don’t tend to portray is the hours of proceedings on technical points. It is not what is said that leads to drama, but the thought of the potential consequences. JRs can be mind-numbingly dull as technical points are raised. The case started with counsel for the City of Westminster describing the scheme in a factual way. This was an uncontentious start that put the case in context. What, unfortunately, didn’t happen was a summary of the basic thread of the claimant’s argument that could be heard by the public. Both sides have to provide a skeleton argument in advance for the benefit of the judge and the other side. This is often referred to in court, but its contents aren’t divulged to outsiders. Counsel for City of Westminster asserted Westminster’s right to make traffic orders of its choosing under section 6 of the Road Traffic Regulation Act 1984 and in doing so made a point of explaining the difference between a highway authority, a traffic authority and a planning authority. Much was also made of their duties under section 122 of the act which set out the duties of a local authority when exercising functions by “strategic highways companies or local authorities”. It was repeatedly stated that the City of Westminster was not opposed in principle to the Cycle Superhighway. The significance of this assertion became clear later, but it was reminiscent of a scene from Yes, Minister where civil servants emphasise their agreement in principle to something whilst doing their utmost to oppose it in practice. 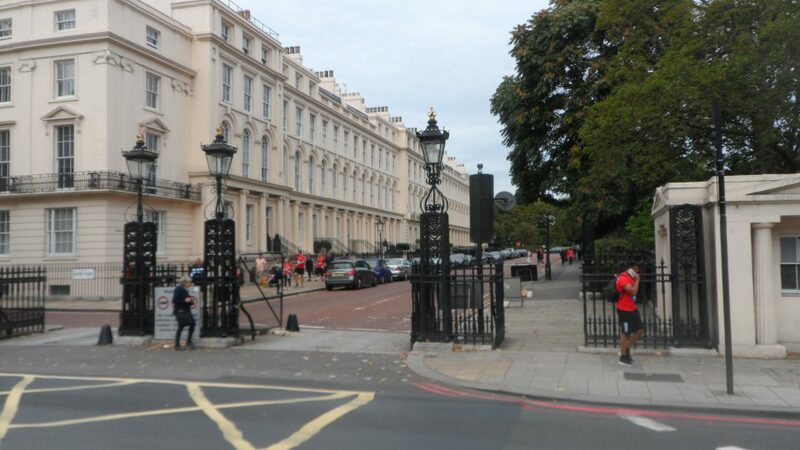 In another twist, counsel emphasised that the City of Westminster had no opinion on the merits, or otherwise, of the Swiss Cottage two-way scheme – the very scheme for which the City of Westminster had successfully obtained an injunction to prevent work commencing. 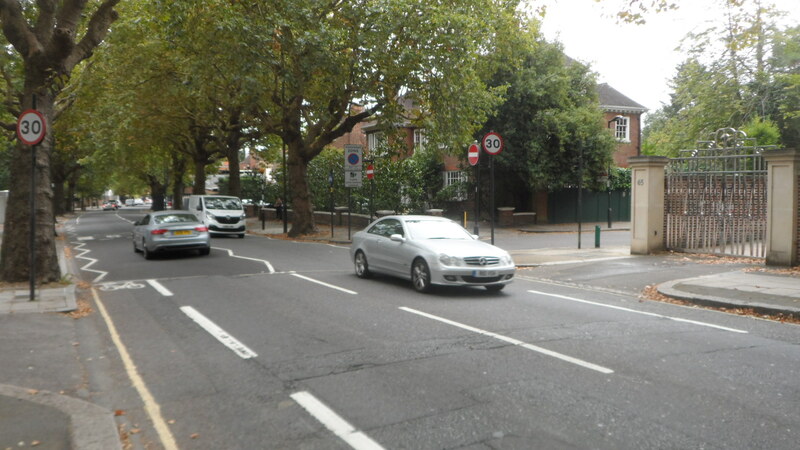 It was the opinion of the City of Westminster that the whole of CS11 should not commence because not all details had been finalised and the scheme had only been assessed as a whole. Much then was made of modelling and emails between the City of Westminster and TfL emphasising what hadn’t been done. Also that various aspects of the scheme, such as the closing of Regent’s Park to motor traffic, had not been resolved. With such uncertainty, it was impossible for the City of Westminster to evaluate such a scheme and approve or disapprove of it. It was also impossible for them to take mitigating action. The City of Westminster was unhappy that the impact of the decision (made by the City of Westminster) not to pedestrianise Oxford Street had not been modelled in the studies. Clearly, the City of Westminster did not regard the fact that their recent abrupt decision not to pedestrianise Oxford Street was the reason that this modelling did not exist. The City of Westminster was also unhappy about the impact the scheme would have on traffic in the heart of London – not just in Portland Place but also in the surrounding area. They felt that CS11 should fit in with a strategic plan for that part of central London and it couldn’t do so because that strategic plan simply didn’t exist. The final strand of the City of Westminster’s argument was based on the way the scheme was approved. The man in charge of cycling provision at TfL, Ben Plowden, allegedly decided one day to get on with implementing the scheme without any authority to do so. In a further dereliction of proper governance, the decision wasn’t recorded in writing. As is generally the case, when you have only heard one side of the argument, it seems pretty damning. Proceedings had lasted two hours and TfL was yet to put their case. When it came it was not a mere rebuttal of the points made but a whole history lesson of how transport is legally framed in London and why it is the way it is. TfL’s case started with a reminder of the abolition of the GLC in 1986 and the free-for-all that followed, with each borough acting independently of each other. After a few years, the government recognised the harm this was doing to highway planning and arranged for the Secretary of State for Transport to issue directions to the relevant Highway Authority (a London borough) for the way the overall traffic plan was to be implemented on strategic roads. Counsel for TfL gave the example of Chancery Lane. Chancery Lane is a road with a length a little over 500m but, as counsel pointed out, was managed by three different traffic authorities (City of Westminster, City of London and London Borough of Camden). He then embarked upon a history of red routes and, not surprisingly, the judge started querying why we needed to know all this. Certainly, this was a complete contrast to the legal arguments and attention to pernickety detailed facts presented by the claimant. When Red Routes were introduced the local boroughs did not initiate them. They were directed to do so by the forerunner of the Department for Transport at the time. At the time the enthusiasm of the Royal Borough of Kensington & Chelsea (RBKC) for Red Routes was equivalent to their current enthusiasm for cycle routes – ie none at all. So they decided they wouldn’t have them. The Secretary of State (SoS) had no power to implement them himself, that was down to RBKC. And RBKC decided they were having none of them. The refusal by RBKC to implement red routes was not a wise move. As they discovered when they were taken to court, the Secretary of State at the time might not have had the power to implement them himself, but he did have the power to determine policy and it is the duty of the highway authority to implement the Secretary of State’s policy. So while a SoS can’t specify the exact location of each parking bay and crossing point they can specify that a red route be implemented and it is up to the local authority to knuckle down, sort out the details and implement it. It was not stated explicitly, but clearly when the overdue replacement for the GLC, the Greater London Authority, was being proposed there was a concern about having a loose cannon at the top of the GLA. It is probable that the fear of Ken Livingstone getting into power meant that the drafters of the GLA Act 1999 were determined to make the Mayor accountable for his actions and plan ahead properly. Those same legal drafters must have also recognised there is no point in demanding proper governance if the Mayor doesn’t have the power to implement it. (b) his proposals for discharging the duty under section 141(2) above. (c) may contain any other proposals which he considers appropriate. (3) Where the Mayor revises the transport strategy he shall publish it as revised. Note in particular part (2)(c) which appears to give the Mayor an absolute free-rein to include in his transport policy anything he wants. He can even change it at any time. The point being: he can’t decide policy, Trump-like, on a whim. It must be consistent with his published transport strategy. The only practical restriction that appears to apply to the Mayor’s Transport Strategy is that it must be consistent with national transport policy. This apparent downside is not all bad for the Mayor because it emphasises the fact that policy is decided at a high level and implemented locally. So just as the Mayor has to comply with national policy, he can set his own policy within the framework of national policy and then require his subservient authorities (the boroughs) to carry out his policy at a local level. At this point, it becomes clear why the City of Westminster repeatedly states it does not object to CS11 in principle. If it were foolish enough to do so then a judge would be pretty quick to remind them that such policy is not their decision to make and that they must broadly comply with the Mayor’s wishes – although local details could (and should) be decided by the local authority. Counsel for TfL then went on to emphasise that, just because in its eighteen-year existence, TfL has never taken such an approach with local authorities, it does not mean that it doesn’t have the power to do so. He likened it to Bismarck’s iron fist in the velvet glove. TfL has just not had to use its iron fist. Yet. Around this point, the judge queried TfL’s power in this. One suspects he was testing the barrister or just wanted the point made clear. The response was that TfL and the Mayor were effectively one and the same thing. TfL is there to carry out the transport policy of the Mayor. At this point, a layman might think it is game, set and match. But legal arguments aren’t like that. Every point needs to be defended and it is up to the judge to decide what weight to give various points, or even if he needs to consider them at all. Next followed details of the contentious work. 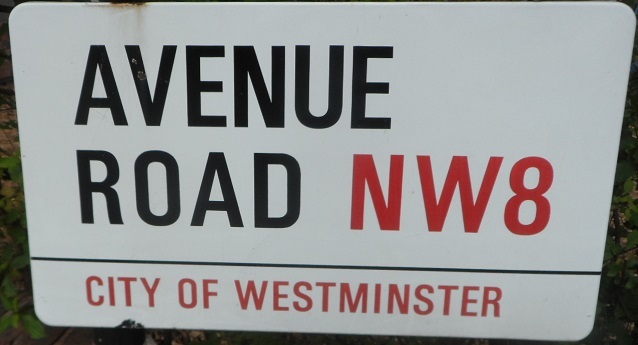 Given that the City of Westminster had no opinion on Swiss Cottage as it was outside their jurisdiction, and couldn’t have an opinion on Regent’s Park as that too was outside their jurisdiction, then the only bit that affected them was the work on the small part of Avenue Road within their remit and Portland Place. It was claimed that the work on Avenue Road was merely adding a segregated cycle lane and wouldn’t prevent other traffic going down the road. For Portland Place there were two alternative schemes. On had an advisory cycle lane on each side of the road not physically separated from the rest of the traffic and delineated with dashed lines. The other made the cycle lane mandatory (meaning other traffic must not enter into it – not that cyclists must use it) with unbroken lines. In the latter case, the cycle lane would have a different coloured surface. Further argument was presented that detailed modelling was not necessary beyond establishing the scheme was workable. Besides, the modelling was not for the benefit of the City of Westminster but for TfL. If the City of Westminster wasn’t happy with the modelling at the level of detail they wanted, then it was down to them to do it. A precedent was cited to show that it was not the duty of TfL to do it for them. Much was made of the case of the JR brought about by the London Taxi Drivers Association against TfL concerning the East – West Superhighway. Quotes were made from the judgment emphasising that the Mayor has to consider the merits of the scheme as a whole. Applicants for a JR can’t ‘salami slice’ the scheme and emphasise the local disadvantages. This is highly pertinent when it comes to air quality. Any decrease locally in air quality would be offset by other improvements, such as that to cyclists using Regent’s Park or using a dedicated segregated cycle lane. Or pedestrians with less exposure to traffic fumes at Swiss Cottage due to shorter wait times at pedestrian crossings. A final point was an explanation in detail as to how projects are governed. To someone who has attended Programmes and Investments Committee meetings, it must seem extraordinary that the City of Westminster thought that something irregular was going on. But then there are probably more men that have walked on the moon than members of public who have attended Programmes and Investment Committee meetings, and we suspect most of them are residents of LR Towers. Programmes get approved at Programmes and Investments Committee meetings by the TfL board members on that Committee. Because they only meet occasionally, they delegate authority to a TfL officer to spend the approved authority at a time of his choosing as appropriate. So the TfL officer may determine the start date and award the contract but only on the basis it has been properly approved. The total sum for CS11 is approximately £26m, which is within the level of authority available to TfL officers. Counsel pointed out that TfL is a big organisation spending large sums of money. This has to be done by delegated authority. He also pointed out it was exactly how the City of Westminster works. The only difference being that as they are smaller, financially, their officers are limited to a spend of £25m as opposed to £100m in TfL. Whatever the rights and wrongs, judging by his comments, the judge will probably take a dim view of the failure to formally record and announce the decision to go ahead with the scheme. At the very least this would have avoided debate on when exactly the scheme finally went ahead. After this came an opportunity for City of Westminster’s counsel to rebut the arguments of TfL. 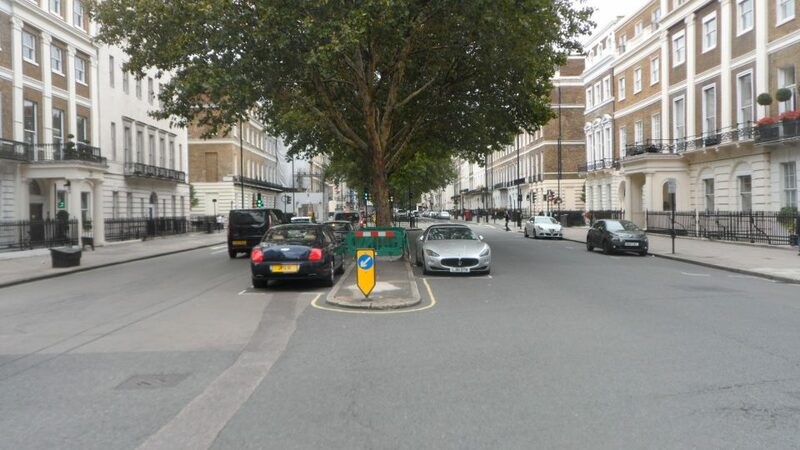 The description of the impact on Portland Place was challenged because the cycle lanes would go up to the traffic lights necessitating cycle phases at the lights which would then impact on other traffic. It was stated that other traffic would be restricted in Avenue Road. It should be noted that the TfL consultation documents online do not support this assertion, though there were some right turns that were originally going to be banned but were subsequently allowed. A few of the precedents cited by TfL were argued as ‘distinguished’ (ie different and therefore irrelevant) from the current situation and so should have no bearing. After that, the judge said he would make his decision later (as everyone expected) and the court arose. TfL wrong on various technicalities with the implication that if these are resolvable and if resolved then the scheme can subsequently go ahead. It is very hard to see how TfL was fundamentally wrong and acting beyond its powers. Such a verdict would almost certainly lead to an appeal as it renders the Mayor impotent and boroughs would be free not to implement the Mayor’s policy – clearly not the intention of Parliament at the time the legislation was made. If the judge were to decide that TfL was far too lackadaisical about the whole thing and impose onerous conditions for a framework for TfL to operate, then that is almost as bad as losing outright and could seriously hamper future implementation of policy by the Mayor. The judge could decide that TfL did not handle this correctly in all respects. Such a situation would be basically rectifiable and TfL could modify their approach to make their actions acceptable to the court in future. Finally, the judge could decide that TfL were acting totally correctly. Given the LTDA challenge to the East-West Cycle Superhighway and how TfL was vindicated on every point this seems a distinct possibility. One has to wonder why on earth the City of Westminster brought this challenge. Certainly, there is an impression that the City of Westminster resented what they perceived as a level of arrogance displayed by TfL. It is what the youth of today might refer to as disrespect, and the feeling that they are being ridden over roughshod. But that wouldn’t be enough to have a council risk large sums of money, even one as rich as Westminster, on a JR. The suspicion at LR Towers is that the City of Westminster, or rather their residents, had tasted blood with their success in stopping Oxford Street pedestrianisation. With TfL perceived as being on the run, it was time for the next blow to prevent a scheme that residents did not want due to longer journey times in their car, more rat running and worse air quality where they live. The councillors probably felt they had no choice but to bring this action otherwise they would have been seen as spineless. The judgment was published very promptly on the 13th September 2018. Unfortunately, it is not as easy to follow as some judgments, but the gist of it appears to be that TfL erred on going ahead with a partial scheme when the consultation was about the scheme as a whole. There does not appear to be any specific guidance as to what must be done by TfL to rectify the deficiencies in the consultation. The right of the Mayor to require the boroughs to implement his transport strategy if properly consulted on does not appear to be in doubt. Working through such of these considerations as are relevant in this case, firstly I am of the view that the Additional Reasons are inconsistent with the original reasons in the Authority Request and, to use Hutchison LJ’s analysis, go further than simply elucidation. The Authority Request did not state that TfL had concluded that Westminster would agree to the scheme. That was first suggested and reasons given for it in the Additional Reasons. The Authority Request was a detailed document, and various risks were referred to there. I agree with the submission of Ms Lieven QC for Westminster that it might be expected that TfL’s conclusion as regards Westminster’s agreement would be referred to in the Authority Request. Similarly, with the contention that TfL considered the merits of proceeding with a partial scheme and decided it would be content with it. That had never previously been suggested. It was not part of TfL’s consultation, and it would not have been known outside TfL that it was contemplated. It would be a major departure from the scheme as promoted. It was not mentioned in the Authority Request. The “additional reasons” referred to appear to be arguments put forward by TfL after the JR challenge. City of Westminster and the judge regarded that as inadmissible. You can’t have a consultation and subsequently justify your actions by something not referred to in the consultation. It does seem that TfL’s consultation was flawed in that it only considered the whole scheme. Or rather, it went ahead before parts that were supposed to have been resolved had been resolved. Had unimplemented parts of the scheme been flagged in the consultation as something that would be resolved later then, presumably, that would have been acceptable. That may be a correct verdict from a legal standpoint but, looking at the scheme, it does seem to be a bit harsh when it appears to be blindingly obvious that, for cyclists, even a partial implementation would be extremely beneficial – but that was not what was consulted on. Quite how this legal battle benefits Londoners is hard to see. In all probability, TfL will re-consult and make sure it is a compliant consultation. If, for example, they proposed the one-way system at Swiss Cottage as a free-standing project it is hard to see how it would get rejected. The City of Westminster would probably struggle to produce an argument as to why they should be considered a legitimate objector – especially as they have stated they have no opinion on the scheme as it is outside their borough boundary. TfL’s coffers will need to be raided to pay for this JR (unless they appeal against the decision and win). After that, probably, further money will need to be found for another consultation. Other cycle schemes in the queue will probably be delayed. 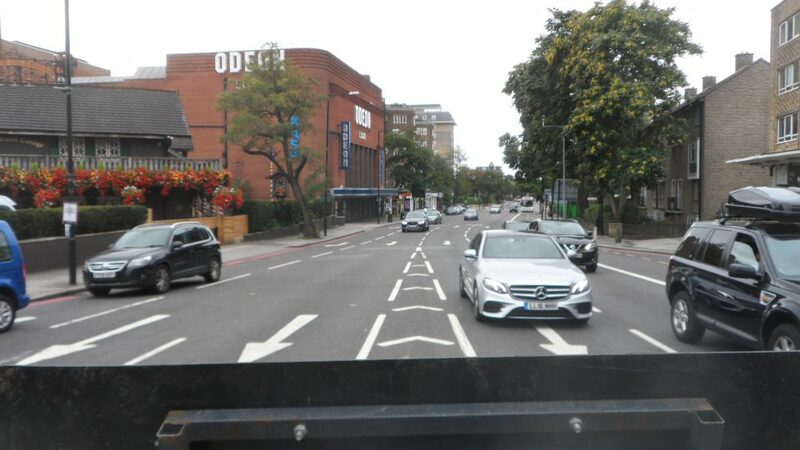 Meanwhile, Swiss Cottage will continue to be a very dangerous place for cyclists and one hopes that there are no fatalities before the issues concerning this traffic junction are finally resolved. What the City of Westminster achieved with this victory, we leave for readers to decide. From the “tasted blood” statement, I had a feeling that this JR is more or less driven by selfishness. And by considering the well-beingness of Westminster residents or councillors, the judgement might be seen by some as social unjustice. You also say the lanes on Portland Place will be painted, then later correctly that options of painted or physically protected lanes were offered in the consultation, and IIRC the latter were preferred. It’s worth noting that the most vocal objections came not from Westminster residents but from Hampstead residents, which is mostly in Camden! Traffic modelling is the bane of many cycling and road schemes because it’s expensive, doesn’t give particularly accurate results and you can always demand more of it no matter how much has been done. That makes “insufficient traffic modelling” a handy, rational-sounding way to oppose a scheme. Not a drafting error with the times of the gates. I just totally misread it. I did wonder why it was such a big issue. Except … puts it in a completely different light. Now corrected. In the case of Portland Place, I am still confused. I am going by what was said in court which was that there were two options both of which were both in essence ‘paint on road’. One had a dotted line (advisory) and the other had a continuous line (mandatory for motor traffic to stay out the cycle lane) together with blue paint on the cycle lane. It was a feature of this case that it didn’t seem entirely clear as to exactly what is involved. In a sense it doesn’t matter since it is irrelevant to the arguments put forward in the Judicial Review – unless one could show that the case was entirely trivial and the issue not a substantive one. Another case of traffic being banned from a Royal Park without reference to the neighbouring boroughs was Richmond Park. It was only when the emergency services objected to the effects of a ban on congestion in the surrounding area, (particularly through people parking near the park gates as they would no longer be able to use the car parks in the park) and consequently on their response times, that the RPA scaled the scope back to closing Robin Hood Gate only. The evidence can still be seen on the large blank patch on the road signs on the A3. Even if TfL had provided the modelling results, I’m sure Westminster could have found another excuse to withhold approval. As the saying goes “all models are wrong, but some are useful”. In related news, CS6 has opened today. It’s already really busy – possibly because we had such a good summer, cyclist numbers seem to have drastically increased again. @Graham – I wouldn’t be quite so sweeping in condemning traffic modelling. There are reasonably robust models and there are poor models. The problem faced by most planners is not that we need more modelling, but that we need better assumptions or a finer grain. There is also the rubbish in/rubbish out problem, A good example of poor modelling is the popular use of TRICS as a demand model – a model where you have to tell the particular scenario what the demand is expected to be “like”. So when forecasting demand generated by a new development, you use a library of manually selected “similar” scenarios to calibrate the thing. For reasons I can only guess, developers always select comparators which generate little or no traffic (the extreme case being one development of 24 detached houses in our parish which was assumed to generate only 1 extra peak car journey between them). @Graham H: excuse my cynicism, but a different mayor might have resulted in no court case. And I do like the car sharing proposal from that developer! There’s no doubt that bits of TfL do have a degree of arrogance which really gets up the noses of boroughs from time to time – although not usually from Ben Plowden and his teams – and this does add some colour to the TfL/borough relationships. Having said that, it’s also clear that Westminster Tories got a scare in the run up to this year’s borough elections on the grounds that they were not paying enough attention to the needs of their residents. It was this that led to the renewed opposition to pedestrianising Oxford Street and I rather suspect that this also has led to the current case. In both instances Westminster has just accepted the residents’ views, whether justified or not, and made no effort whatsoever to rebut any views which are actually technically wrong. This is very much NIMBYism in practice and it will be interesting to see just how long it is sustained. But that has an underlying assumption that most Westminster residents use cars. In fact car ownership in Westminster is only 34% of households, one of the lowest in London. A minor point: through motor traffic (“rat-running”) is still permitted in Greenwich Park, but only on weekdays and not between 10am and 4pm. “attention to the needs of their voters” might be more accurate – turnout at the last elections was 38%, and it’s a reasonable guess that the demographic of those who turned out skews older and wealthier than the borough average. Thanks for the correction (with reference). I was so sure that they had installed a permanent barrier in the middle of Greenwich Park to prevent through traffic but clearly either I was totally mistaken or the barrier is opened during peak traffic hours. Article corrected. Some of us are not rich! I barely manage to even get out of Westminster. As a cyclist, and car owner, that traverses the Swiss Cottage Gyratory System daily I am disgusted with the nonsense that has gone on. Delay upon delay to what was in the main a sensible scheme which would have minimal impact on most residents and road users. As a Ratepayer and Tube user the thought that public funds can be wasted in such a profligate manner shocks me. The power struggles of respective authorities seem to trump all. As I see it the Nimby’s are saying something along the lines of ‘Traffic will increase because by using cars we create traffic and by having relatively limited restrictions to our movement our journeys will be slightly longer if we continue to use cars.’ They don’t wish to see the opposite argument that by reducing car usage by a significant margin is the only way to improve the air quality and general environment for all. would be illegal, as an Ulterior motive. Isn’t the logical extension of Westminster’s argument that we should build a motorway through Westminster in order to reduce congestion and increase air quality? Someone has too much money here! As a local authority officer outside London who has planned, consulted upon and delivered a few cycle schemes, I admire TfL’s design and the thoroughness of their processes. Concerning the modelling, over here there simply is no model that doesn’t like the TRICS effectively tells me what I told the model, so many schemes don’t get modelled and those that do are for political reasons not transport/traffic planning. The Mayor’s Policy was to pedestrianise Oxford Street. How is that different from the CS policy? Get one, get both, surely. @Bob: Isn’t the logical extension of Westminster’s argument that we should build a motorway through Westminster in order to reduce congestion and increase air quality? @Ian J, add some roads south of the Thames to it & perhaps a bridge or two, and you have the City of Westminster Bypass. ISBEBY, like Southern Heights just said. End of crayonista mode, we all know that you need mass transit, not roads, if you want to bring commuters into the City of London effectively. Naked political games from Westminster here. Disgusting contempt for the responsibilities of office. There was a motorway through Westminster – the A40(M) Westway – since 2000 downgraded to an A road. Interestingly, the local Ham and High newspaper (hardly natural bed fellows with Westminster Council) agrees with Westminster, not because they are against the scheme, but rather that they agreed with Westminster’s arguments about the lack of consultation with them. I can’t help but find the Ham&High’s arguments in favour of Westminster somewhat disingenuous, along with the entire MO of campaigner Jessica Learmond-Criqui, who from a quick bit of googling seems to be campaigning against the mayor/TfL on multiple fronts. They say that procedures weren’t followed, consultations weren’t done “properly”, TfL have been “heavy handed” and so on, and all this may be true, but fundamentally this intent to find technicalities to attack the scheme with is not really motivated by a desire for gold-standard governance is it? It’s clearly the intent to frustrate and block the scheme, to waste TfL’s money, and to try and frame it as all being the mayor’s fault. One vaguely topical observation: I recently noticed much ado about the opening of more CS6 between Farringdon Road and Kings Cross. I tried it out northbound today and found that while it was a relief to go off into the side streets, it had much more the characteristics of the Quietways, with sporadic signposting, twists and turns, and lots of delivery vehicles parked in awkward places. At some point I missed the signage and went off-piste. I thought the CSs were all about high visibility and pinching space from the motor traffic to make going by bike faster, safer and easer. From this experience, the opening was much ado about not a lot. I do hope they stick to their plan with CS11, or there’s not much point. Well, I for one am pleased this has hit the buffers. The change to Swiss Cottage does not help motorists (which is what I am). Having seen how TfL have butchered Elephant & Castle and the right horlicks being made of Highbury & Islington, I can’t think of anything better than delaying a scheme to make a mess of Swiss Cottage. The change to Swiss cottage is intended to help motorists by giving drivers the option to become cyclists or pedestrians. Assuming your car journey is actually necessary (you have a blue badge, or you are making a delivery that can’t be carried in a cargo bike) then you will benefit from the fact that there are fewer cars passing through the junction. @Bob – that sounds positively Orwellian! I find myself agreeing with you that Elephant & Castle is a “butchering”, mainly because the resulting road layout has been baffling to many, particularly the right turn onto St George’s Road. However I’m not sure I agree that the Swiss Cottage or Highbury schemes are bad for motorists; at Swiss Cottage southbound traffic on Finchley Road will have a much shorter path through the junction with fewer sets of lights to traverse. I suppose there’s a slight disbenefit if you’re turning left towards Camden, but overall the layout is simpler and should be easier to navigate for infrequent users, meaning lower mileage and fewer accidents. 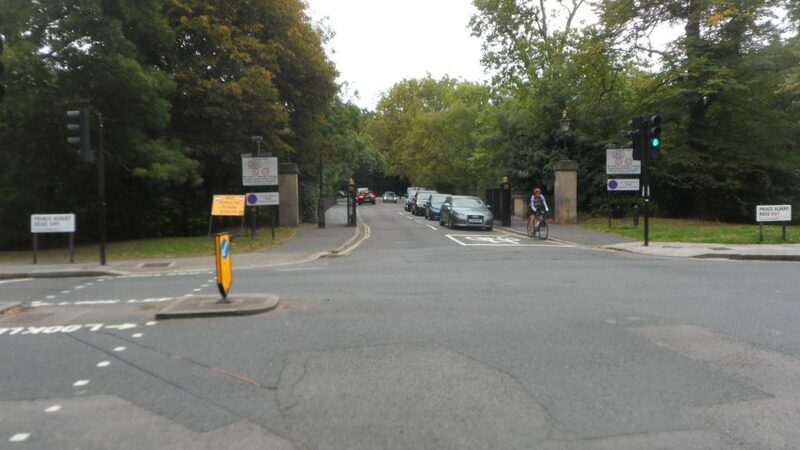 @Pedantic of Purley: There are barriers in the middle of Greenwich Park (here: https://goo.gl/maps/4aMdMxfhpas) but it is one bollard in either direction. I’ve never seen them being removed/inserted, but I assume someone does so every day. I’ve never understood why rat-running through a park is justifiable from 7-10 and 4 onwards, when not at other times, and I’ve always hoped the Royal Parks (strictly, the Crown Estates Paving Commission) will one day finish the job. The temporary problem is the demolition and construction traffic for the former Camden council offices on the gyratory at 100 Avenue Road. If the redevelopment of the gyratory happened, the heavy traffic necessarily accessing 100 Avenue Road would largely have used smaller side roads instead of the gyratory. This impact could be mitigated by limited transitional changes to the gyratory, ideally to separate the trucks from the cyclists in time if not in space, and encouraging appropriate use of residential roads for longer distance and local cycling (along Quietway 3, accessible from the Gyratory). The longer term issues include balance of benefits between longer distance cyclists (from outside the immediate areas), with the longer distance cyclists creating a disbenefit for local cyclists and pedestrians by displacing traffic (creating ratrunning) onto residential roads (along the path of Cycle Quietway 3 in the core of St. John’s Wood. Over the summer, Thames Water had to temporarily close first the Wellington road (near Lord’s) and then part of Avenue Road (in Westminster). Both closures created noticeable traffic increases in peak hours in St. John’s Wood (in an off peak summer period), I certainly noticed on my daily walk to work in the morning. For the Avenue Road closure Thames Water handily signed as the diversion route the likely ratrun though St. John’s Wood (Queens Park, Ordnance Hill past a primary school, the Terrace close to the primary again, and Charlbert). Naming the cycling improvement a superhighway was encouraging protest, conjuring up images from London road protests of the Ringway/Westway era, with TFL coming across to local residents with much the same aura as the highway planners and Vogons from “Hitchhiker’s”. … which means continuing around the park to Avenue Road simply makes sense if you’re already in the park at Gloucester Gate (not to mention being able to hold cruising 30mph speeds instead of queueing through traffic lights along Prince Albert Road with a Camden speed limit of 20mph)! Not saying it’s the correct decision (though a Westminster resident, I’m on TfL’s side with this debate, unlike with the Oxford Street one), but for some people I can see why the opposition to CS11 exists.